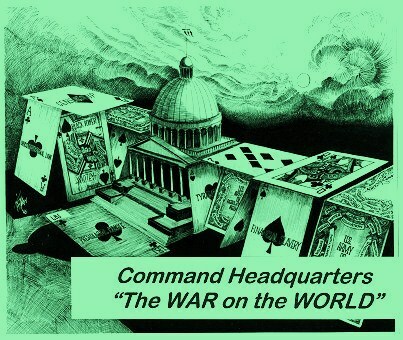 The Congress has failed in their duty to the American public throughout this false-flag attack, by the Nero administration, who threatened a much wider world-war, over something that the US warhawks instigated over two and half years ago. Congress promised the public a VOTE on this illegal war. Then Nero decided to rush his policies through to a vote—until he discovered that he would not only not win: He would clearly FAIL. Moreover he would be left naked on the global-stage as a failed political leader and supposed war-time leader - inept and useless as either a president or a Commander-in-Chief. Now both he and the congress are desperate to avoid even having the promised “vote” because it will definitely go against all of them—and end the Nero presidency. He also took credit for the proposal, telling PBS he discussed the idea with Russian President Vladimir Putin. More lies: Nero is still losing support and he’s not gained anything! The article prattles on with all the usual lies, but the one thing everyone wants to avoid having to face is a public vote of the entire US Congress that would clearly show the world, just exactly where the population of the US stands, and who in congress stands with their own voters. The Congress said that if would have the vote ­ back when they actually thought they could “fix the 91% to 9% problem by lying about the levels of support in congress. They tried that yesterday and had to back-off because the media was caught lying while trying to inflate the numbers of those who supposedly agreed with Nero. No such support exists. That is becoming more clear with every minute that passes. That's why everyone in official Washington wants to forget about having that vote in congress on this whole affair. The Congress has forgotten that they are supposedly an independent branch of the federal government. They do not and have never worked for the office of the president, or the Administrative Branch of the government. In fact it is up to the Congress to write the laws, and declare the wars: It is the job of the administration to enforce the laws and enact the military actions which the congress requires the administration to do ­ in peace or war. This vote was mandated to show the public that the congress is doing its job. 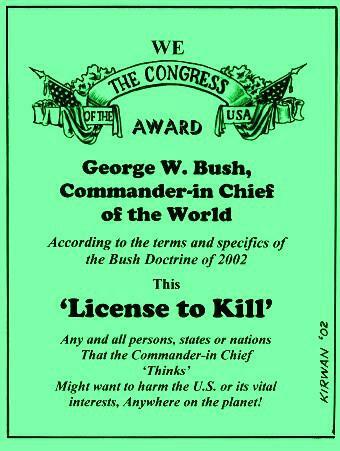 When the Congress gave George W. Bush his License to Kill, they essentially surrendered their responsibility to declare the wars this nation supposedly fights. Today this country is involved in at least a dozen wars, after having lost several wars in succession ­ yet the congress has said nothing about the illegalities or the crimes-against-humanity nor the massive number of war-crimes which USI has committed, just since the New Millennium began with George the traitor Bush in charge. This “VOTE” became mandatory when the Congress first declared their intention to have it, so that the public and the world could see exactly where this country stands on Nero’s criminal­activities which he calls the national security requirements that other enemies created for us, which we must now answer with, by carpet-bombing and missile strikes on innocent civilians.